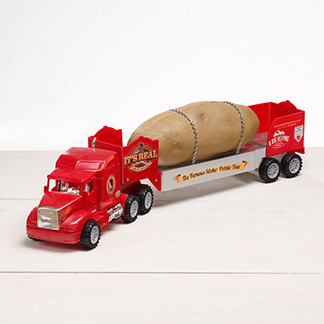 A semi tractor-trailer rig hauling what appears to be one heck of a big potato is scheduled to make two stops in Indiana this week. It’s all to promote the charitable work of the Meals on Wheels organization — and also to help sell potatoes. 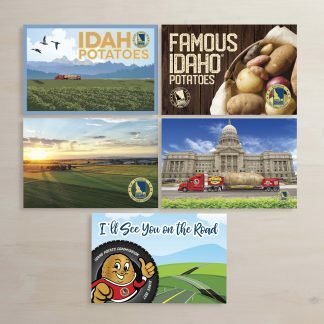 The “Great Big Idaho Potato Truck,” a publicity vehicle operated by the Idaho Potato Commission, is scheduled to be in Marion from 2 p.m. to 7 p.m. today and in Richmond from 10 a.m. to 1 p.m. Tuesday. 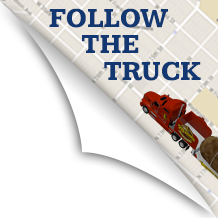 The 48-foot-long flatbed trailer carries a 28-foot-long, 12-foot-wide and 11.5-foot-tall “potato” — actually a giant piece of fabricated artwork. The giant potato would take two years and nine months to bake, the web site claims, andwould make 30,325 servings of mashed potatoes or more than 1.5 million average-sized french fries. In Marion, the rolling potato will be at Lance’s New Market, 1555 South Western Street. In Richmond, it will be at Richmond City Hall, 50 N. 5th Street. 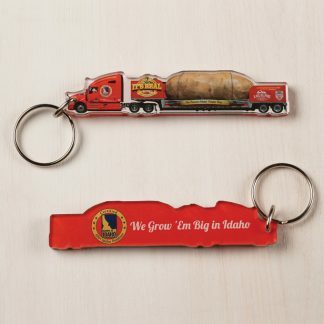 Just in case seeing a big potato sounds a-peeling to you….. Contact Star reporter Bill McCleery atbill.mccleery@indystar.com or (317) 444-6083. Follow him at twitter.com/BillMcCleery01.